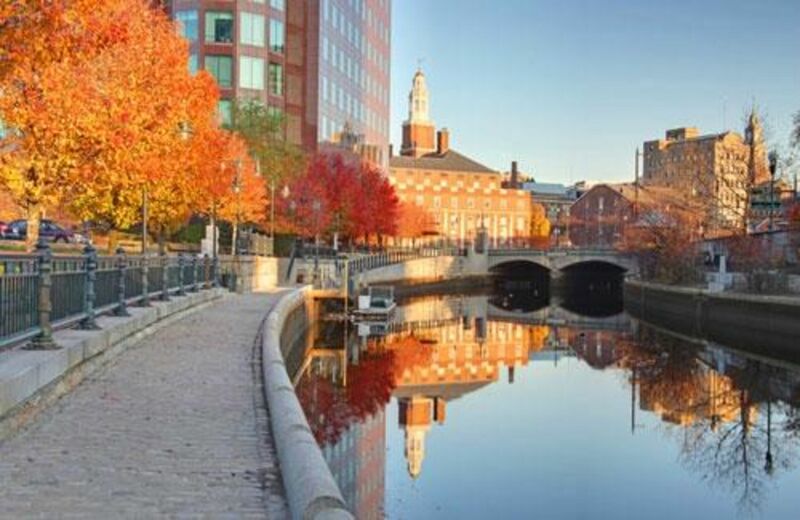 Providence is the capital and most populous city in the U.S. state of Rhode Island. Founded in 1636, it is one of the oldest cities in the United States. 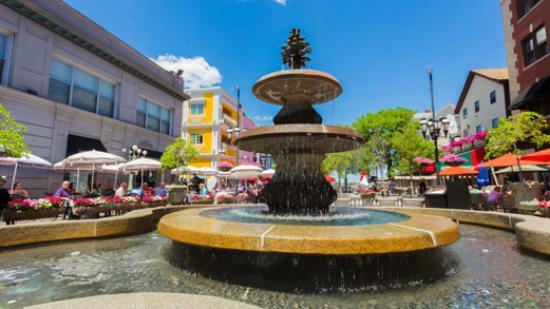 It is located in Providence County, and is the third-largest city in the New England region after Boston and Worcester. Once nicknamed the "Beehive of Industry", Providence began rebranding itself as the "Creative Capital" in 2009 to emphasize its educational resources and arts community. Much of Providence culture is synonymous with Rhode Island culture. Like the state, the city has a non-rhotic accent that can be heard on local media. Providence also shares Rhode Island's affinity for coffee, as the former has the most coffee/doughnut shops per capita of any city in the country. Providence is also reputed to have the highest number of restaurants per capita, many of which founded and/or staffed by its own Johnson & Wales University graduates. The gateway arch over Atwells Avenue is a Federal Hill landmark. A sculpture of a pignoli cluster hangs from the center. Providence has several ethnic neighborhoods, notably Federal Hill and the North End (Italian), Fox Point (Portuguese), West End (mainly Central American and Asians), and Smith Hill (Irish with miscellaneous enclaves of other groups). There are also many dedicated community organizations and arts associations located in the city. During the summer months, the city regularly hosts WaterFire, an environmental art installation that consists of about 100 bonfires that blaze just above the surface of the three rivers that pass through the middle of downtown Providence. There are multiple Waterfire events that are accompanied by various pieces of classical and world music. The public art displays, most notably sculptures, change on a regular basis. The city is also the home of the Tony Award-winning theater group Trinity Repertory Company, the Providence Black Repertory Company, and the Rhode Island Philharmonic Orchestra, as well as groups like The American Band, once associated with noted American composer D. W. Reeves. Providence is also the home of several performing arts centers such as the Veterans Memorial Auditorium, the Providence Performing Arts Center, and the Providence Festival Ballet. The city's underground music scene, centered on artist-run spaces such as the now-defunct Fort Thunder, is known in underground music circles. Providence is also home to the Providence Improv Guild, an improvisational theatre that has weekly performances and offers improv and sketch comedy classes. Providence is home to an 1,200-acre park system, notably Waterplace Park and Riverwalk, Roger Williams Park, Roger Williams National Memorial, and Prospect Terrace Park, the latter featuring expansive views of the downtown area as well as a 15-foot tall granite statue of Roger Williams gazing over the city. 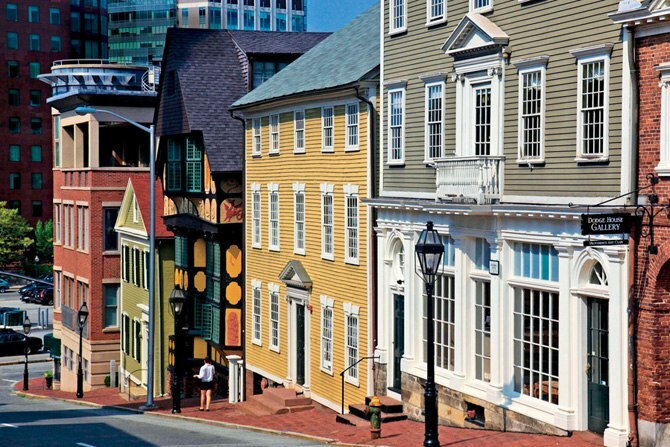 As one of the first cities in the country, Providence contains many historic buildings while the East Side neighborhood in particular includes the largest contiguous area of buildings listed on the National Register of Historic Places in the U.S. with many pre-revolutionary houses. The East Side is also home to the First Baptist Church in America, the oldest Baptist church in the Americas, founded by Roger Williams in 1638, as well as the Old State House, which served as the state's capitol from 1762 to 1904. Nearby is Roger Williams National Memorial. Downcity Providence is home to the fourth-largest unsupported dome in the world (the second-largest marble dome after St. Peter's Basilica in Rome), as well as the Westminster Arcade, which is the oldest enclosed shopping center in the U.S. The main art museum is the Rhode Island School of Design Museum, which has the 20th-largest collection in the country. In addition to the Providence Public Library and the nine branches of the Providence Community Library, the city is home to the Providence Athenæum, the fourth oldest library in the country. Here, on one of his many visits to Providence, Edgar Allan Poe, met and courted a love interest named Sarah Helen Whitman. Poe was a regular fixture there, as was H. P. Lovecraft (who was born in Providence); both of them influential writers of gothic literature. The Bank of America Skating Center, formerly the Fleet Skating Center, is located near Kennedy Plaza in the downtown district, connected by pedestrian tunnel to Waterplace Park, a cobblestone and concrete park below street traffic that abuts Providence's three rivers. The southern part of the city is home to the famous roadside attraction Nibbles Woodaway (also known as the "Big Blue Bug"), the world's largest termite, as well as the aforementioned Roger Williams Park, which contains a zoo, a botanical center, and the Museum of Natural History and Planetarium. Another well known site is the very famous Providence Biltmore Hotel located downtown near Kennedy Plaza. A historic location that was built in 1922, the hotel is still a very popular site for travelers going in and out of the state every day. It was also added to the National Register of Historic Places in 1977.